Published February 14, 2018 at 12:08 a.m. Updated February 14, 2018 at 2:29 p.m.
Outside the closed-door executive session where Western Reserve Port Authority officials discussed airport issues Tuesday, the airport terminal was empty. With no commercial service offered here, many of the lights in the terminal were off, no passengers were lined up to check in and no luggage was being sorted. A soft elevator-type music played. When the door to the meeting room opened, a little light entered the terminal. After the executive session, members of the WRPA’s Aviation Committee made a motion to recommend the WRPA board allow the airport’s director of aviation to submit a letter of understanding to Elite Airways of Maine for service. The goal is to get service from the Youngstown-Warren Regional Airport to Newark Liberty International Airport in Newark, N.J.
Newark is about 15 miles from Manhattan, according to the airport’s website. “It’s the top business destination for our area,” Aviation Director Dan Dickten said. It’s also a top leisure destination, Dickten said. Airline veterans founded Elite Airways in 2006, according to the company’s website. Elite offers charter and scheduled service throughout the U.S., Canada, Mexico, Caribbean and South America. In the U.S., it has 10 routes on its route map including Newark. “The airline has not made any formal offers to provide air service at Youngstown and at this time has no plans to do so but doesn’t rule out anything for the future,” said Rebecca Ayers, spokeswoman for Elite. 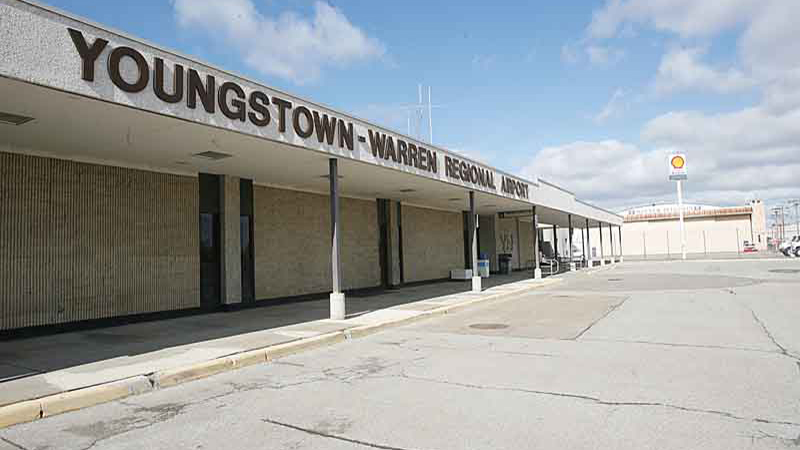 Airport officials have been in search of commercial service for the airport since before Allegiant Air, a low-cost carrier that provided leisure destination service, ended that 10-year service at Youngstown in January. In 2016, the airport lost a brief service it had between Youngstown and Chicago O’Hare International Airport. Aerodynamics Inc., ADI, provided the airport’s first daily service in 14 years with its Great Lakes Jet Express. But after just two months the service was grounded. The interline agreements that ADI thought were in place for ticketing and baggage were not honored by major legacy carriers in Chicago. The port authority sued ADI and ADI filed a counterclaim. Last Friday, the port authority board approved a $150,000 settlement with ADI. In early December, Southern Airways Express of Mississippi came to Youngstown to discuss potential service to Coleman Young Airport in Detroit and Baltimore-Washington International Airport. November 16, 2017 12:05 a.m.
March 14, 2018 12:08 a.m.
October 11, 2017 12:04 a.m.
October 26, 2017 12:09 a.m.
February 13, 2018 10:55 p.m.